Many Wiccans are polytheistic, meaning they worship in many gods and goddesses as part of their belief system. A ‘pantheon’ is a set of gods and goddesses from a particular religion or mythology. Popular pantheons include Greek, Roman, Egyptian, Norse, Celtic, Hindu, Japanese, and Native American. Sometimes there is overlap between deities from different pantheons. For example, Greek and Roman deities often overlap, however are given different names. Celtic deities often overlap with Gaulish and Brittanic deities. Some Wiccan groups insist that you work within a singular pantheon, however some groups find that working with deities from different pantheons is acceptable. Most Wiccans agree that you should work with a group of deities that you feel particularly called to. Whether you follow your ancestry or look elsewhere, your connection to the divine is deeply personal and subjective. Listen to your intuition! Below are some of the major pantheons used in Wicca and examples of some of the more popular deities. This is by no means an exhaustive list – do you own research to find what speaks to you! Cernunnos – ‘The Horned One’. Ancient God of fertility, nature, and animals. Dagda – ‘The Good God’. God of protection, knowledge, warriors. Danu – ‘Great Mother’, mother of the Tuatha Dé Danann. Goddess of the earth, rivers, wells. Lugh – God of the sun, craftsmanship, and many other skills. 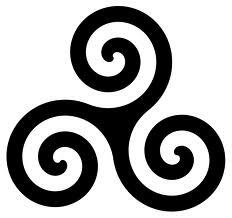 Brigid – Triple goddess; fire of inspiration (poetry), fire of the health (healing, fertility), fire of the forge (smithcraft). Morrigan – ‘Great Queen’, ‘Phantom Queen’. Goddess of war, death, prophecy. Odin – ‘All Father’, ruler of the Aesir. God of war, death, wisdom and magic. Frigg – Goddess of marriage. Wife of Odin. Thor – God of thunder and lightning, strength and protection. Son of Odin. Baldur – Gentle, handsome son of Odin. Freyja – Goddess of love, fertility, war, divination and magic. Sister of Freyr. Freyr – God of virility, fertility, and prosperity. Brother of Freyja. Loki – Trickster god and shape-shifter. Hel – Goddess of the dead and underworld, ruler of the Land of Mist. Daughter of Loki. Ra – God of the sun. Nut – Goddess of the night, sky and heaven. Isis – ‘Divine Mother’. Goddess of nature, magic, fertility, family and rebirth. Thoth – God of the moon. Osiris – God of vegetation and the otherworld. Anubis – God of funerals, guardian of the dead. Bast – Goddess of the sun, moon, lions, cats, fertility and war. Hathor – Cow goddess of love and music, protector of women. Horus – God of war and the sun. Zeus/Jupiter – King of the gods, ruler of Mount Olympus. God of the sky and thunder. Hera/Juno – Queen of the gods, the goddess of marriage and family. Demeter/Ceres – Goddess of fertility, agriculture, nature, and the seasons. Dionysus/Bacchus – God of wine, celebration, and ecstasy. Apollo/Phoebus – God of light, knowledge, healing, music, the sun, youth and beauty. emis/Diana – Goddess of the hunt, virginity, childbirth, the moon and all animals. Athena/Minerva – Goddess of wisdom, defense and strategic warfare. Aphrodite/Venus – Goddess of love, beauty, and desire. 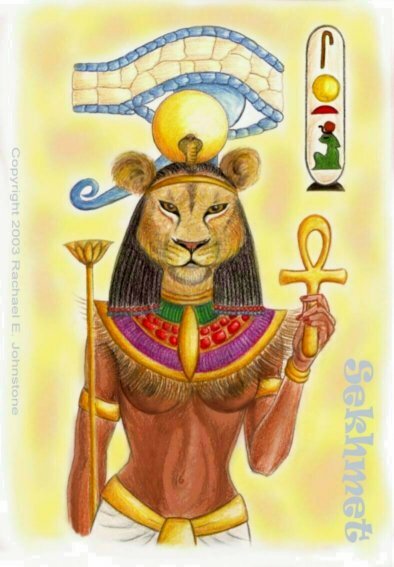 Sekhmet is a powerful Egyptian Goddess. There are some variations to the spelling of her name – Sachmet, Sakhet, Sekmet, Sakhmet, Sekhet and Nesert. She is also known as Sacmis, which is a Greek name. She was the sister and wife of Ptah. Some places have her linked with the Goddess Hathor. Sekhmet is a Warrior Goddess and her name means “The Mighty One”. She was also known as (One) Before Whom Evil Trembles, the Mistress of Dread, the Lady of Slaughter and the Lady of the Flame. Her head is depicted with a lioness’ head. She was known as a Solar Goddess and you will see many of her statues, in addition to having the lion’s head, has a solar disc on the top. Many see her as a Goddess of War and Destruction. She is tasked with protecting the Pharaohs when they went into battle by shooting arrows. Sekhmet could be vengeful and could destroy by sending plagues, disease and misery to people. However, she could easily reverse the effects, which shows the balance between her ability to destruct and to heal. Sekhmet is part of the story “The Destruction of Mankind.” Re, a Sun God, created Sekhmet from the fire in his eye to stop people that were plotting against him and being disrespectful. Sekhmet was always enthusiastic about her slaying job and, once she got a taste of vengeance, she did her job so well she almost eliminated humanity. Re put a stop to it by getting Sekhmet drunk beer that was colored to look like blood. She was so tipsy that she abandoned her plans to finish off humanity and they were saved. To avoid her wrath again, there were daily rituals (every morning and afternoon) performed to Sekhmet every day of each year. Many statues will built in her honor – over 700. 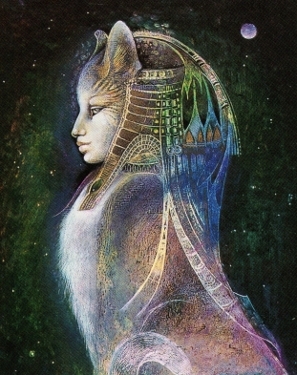 Sekhmet is identified with Bast (Bastet). She is known to wear red while Bast wore green. Sekhmet was considered the Goddesses of the West while Bast was considered Goddess of the East. Both had the lioness heads. 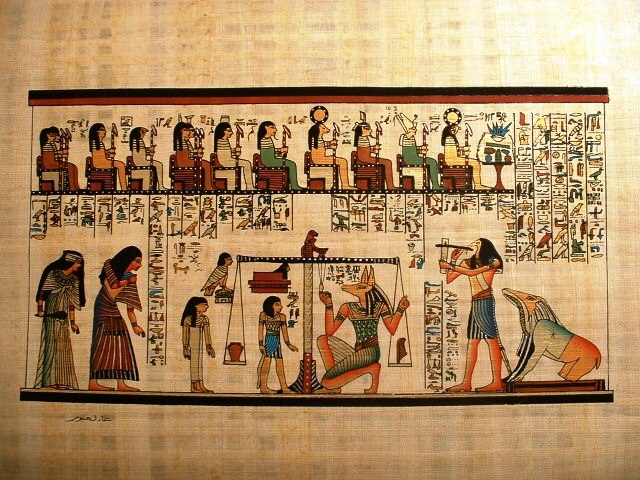 Her symbols are the lioness, cobra and Urjat (the eye of Horus). To work with her, let her help with getting rid of anger and dealing with vengeance for a situation but it’s important not to get carried away. Handling a situation properly will help you see the lessons of the experience much clearer than deal with problems when you’re in a temper. She helps to transform the anger – letting you be safe to express yourself but stopping you from getting consumed by the fire. Connecting with Sekhmet is easy – use interactive ways to do so. Take a shamanic journey or work on doing some interactive meditations. She is there to help you heal from your demons while acknowledging and facing them.